Reason Number 1: We go to great lengths to customize products to fit the exact requirements of architectural specifications and unique applications. Reason Number 2: You can find what you need in our online store from the comfort and convenience of your desk. Reason Number 3: We deliver your product to either your location or your construction site. Reason Number 4: We answer the phone and deal personally with customer service issues such as tracking and delivery. Reason Number 5: We arrange for special orders for products not listed on our website, and we coordinate warranted replacements when necessary. XPB Lockers has all the commercial washroom accessories you need from the comfort and convenience of your own desk. Along with baby changing stations, toilet seat cover dispensers, paper towel dispensers, electrical hand driers, and facial tissue dispensers, you can find a number of highly specialized and ADA compliant items as well. One of the most important yet overlooked products we offer are a number of commercial restroom vending machines. These machines provide condoms for men and napkins and tampons for women. Institutions such as hotels and rest areas install them to provide their clients and guests with quick access to these necessities when it is impractical to shop for them elsewhere. 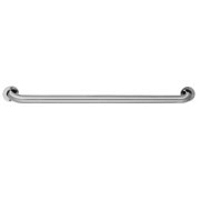 Another very important commercial washroom accessory we offer is grab bars. Grab bars are essential to any organization concerned about the safety of the elderly, the disabled, or those with limited mobility. They allow people to hold on to a supportive type of handrail while taking a shower. Wheelchair bound persons can also use them to raise and lower themselves into and out of a bath. 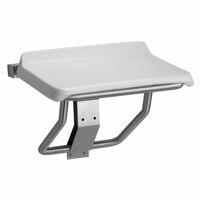 Shower seats are another commercial washroom accessory that is highly valuable to maintaining a safe and comfortable shower and bathtub environment for physically challenged persons. An individual can sit down while bathing or showering without the risk of falling. A person without a disability can also sit down on a shower seat simply to have a more relaxed and comfortable experience. Some shower seats are built for general use (like kids playing with toys in the tub, or for women shaving their legs), while others are built in strict compliance with ADA codes for handicapped persons. Do not forget the need for basic sanitation, either. Commercial waste receptacles are very important and should be purchased based upon specific need. Different models offer special features such as space-saving recessed mounting and lids that cover up refuse after it is discarded. Restroom mirrors are indispensable commercial washroom accessories. Commercial bathroom mirrors come in many different sizes, shapes, and material builds. Not all mirrors are made of glass. Some, in fact, are made of pure stainless steel for the purpose of super vandal resistance. Others are made of tempered glass that is four times stronger than regular glass. Many models also carry 15 years warranties against rust, corrosion, and silver spoilage. What Problems do ADA Compliant Washroom Fixtures Solve? Commercial restroom wall mounted soap dispensers are used in all sorts of restrooms. Come let use help you with your commercial restroom needs. 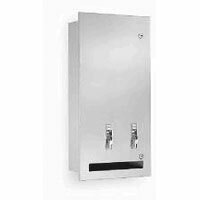 We offer commercial bathroom wall mounted hand soap dispensers at factory direct prices. Commercial wall mounted hand soap dispensers are used in restrooms of all types. 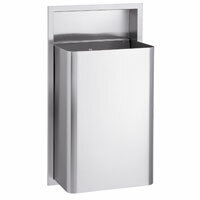 We carry a complete line of commercial washroom accessories at factory direct discount pricing. Touchless automatic commercial liquid soap dispensers are more sanitary than manually operated dispensers. They keep sink areas cleaner, and they are easier for handicapped persons to access. We offer all types of soap dispensers and more at factory direct prices. Contractors can fully equip bathrooms of any size with Division 10 and Division 22 commercial restroom fixtures sold through XPB Locker Supply. Bradley commercial bathroom fixtures enable contractors to fully equip restrooms of any size and type. XPB Locker Supply carries a full selection of both Division 10 and Division 22 products. Contractors who are responsible for Division 10 specialties and products can rely upon XPB Locker Supply to provide them with a bid configuration that is both profitable and characterized by superior quality at the line item level. XPB Locker offers a comprehensive inventory of commercial bathroom accessories. We offer factory direct contractor pricing. There is a great deal more to dressing room design than aesthetics. Space management has become a very high priority.XPB Locker & Supply can help you with your changing room partition needs. Church restrooms are high traffic areas that require durable fixtures. Because cleaning crews may not be present every day, materials must be highly sanitary as well. Factory restroom design requires a variety of commercial washroom accessories. Superior grade materials are used to make a number of these fixtures. Other fixtures perform specialized tasks that contribute unique value to factory environments. The commercial washroom accessories sold for restaurant restroom design will promote health, comfort, and return on investment. We offer factory direct prices.